Bella: Tomboy or Glamour Girl?? Hard to believe, but it’s already been two wonderful years since Bella (formerly Penny Lane)entered my life. 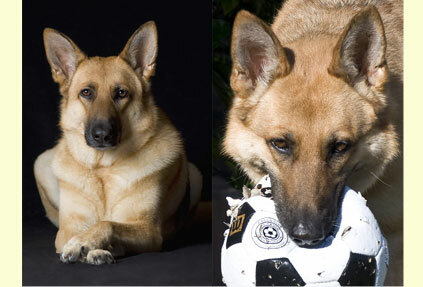 She a tomboy who loves her soccer ball as well as a glamour girl who helps me with my photography class homework. Most importantly, she’s a loving and entertaining companion. Thanks for playing matchmaker GSROC!